Save 56% for a limited time! Head to Amazon to get these Solar System Space Wall Decals for only $7.99, regularly $17.99. 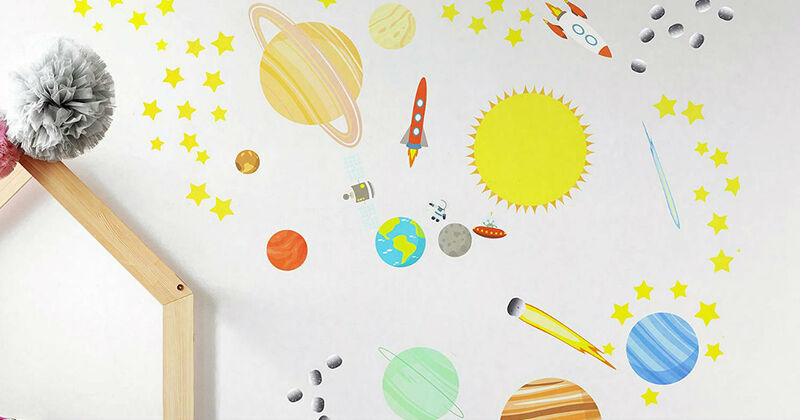 These cool solar system wall stickers are pre-cut, making them easy to peel and stick! Altering your child's space themed bedroom has never been easier!